Natural Lifemanship’s TF-EAP is founded on the modern neurobiology research that has given rise to trauma-informed care in mental health and human services. Through work with thousands of clients with histories of complex trauma in EAP settings and extensive training in the science and application of trauma-informed care, Natural Lifemanship has developed a unique approach to working with clients and horses that promotes healing and growth through the power of the relationship. 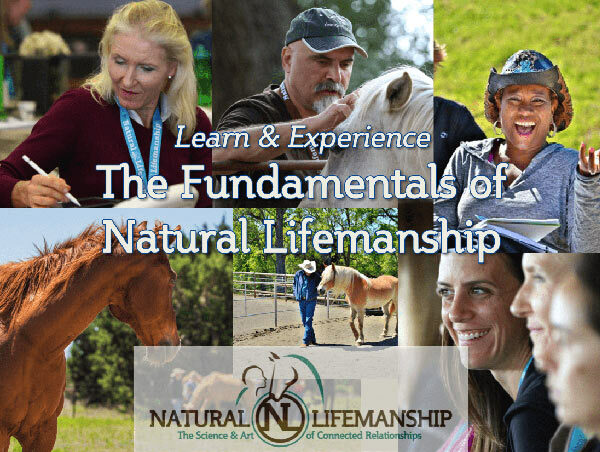 Learn more about the Fundamentals of Natural Lifemanship. This training is one of the requirements for certification. Check out their certification process. Natural Lifemanship is offering discounts. $100 for the Fundamentals trainings. To receive your discount you must enter a discount code at registration. This offer expires 30 days prior to each training. Enter the discount code of NLF-20190518IL-HM for May 18-19. Enter the discount code of NLF-20190928IL-HM for September 28-29. Lodging is available at Soulful Prairies for both trainings.